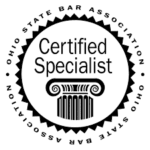 John P. Johnson, II, is an attorney at The Behal Law Group LLC in Columbus, Ohio. Mr. Johnson focuses his practice on family law, serving clients in Columbus and throughout central Ohio in matters involving divorce, child support, custody, post-divorce modifications and spousal support. Mr. Johnson has been licensed to practice law since 1993. Before entering private practice, he spent two years as an assistant attorney general for Ohio. He earned a bachelor’s degree from Ohio Wesleyan University and attained his law degree from Capital University Law School and is board-certified in family relations law from the Ohio State Bar Association. Over the course of his career, Mr. Johnson has litigated numerous cases at the state and appellate levels. In addition to family law, he has experience in business, criminal, employment and entertainment law. He has represented individuals and businesses in discrimination and wrongful termination cases as well as cases involving misdemeanors, drunk driving and traffic offenses. 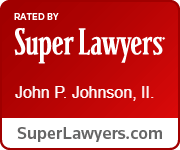 Mr. Johnson’s success in the legal profession has resulted in various awards and honors. 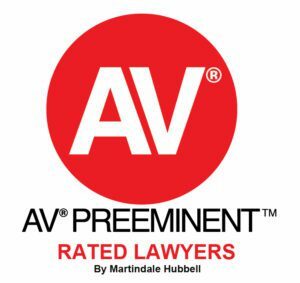 He has attained the highest possible rating of AV Preeminent* from the peer review organization Martindale-Hubbell and has been named one of the top lawyers in central Ohio by The CEO magazine. Active in his legal and professional communities, Mr. Johnson is a member of the Columbus Bar Association, the Ohio State Bar Association, the Central Ohio Association for Justice and the Ohio Association for Justice. He is a board member, legal officer and adviser for the Ohio Warriors Scholarship Fund. There are two types of child custody cases: those with married parents who are divorcing (or already divorced), and those with unmarried parents, which are called “juvenile custody” cases. In both cases there are many similarities, but juvenile custody cases are covered by different laws which require a different process. In custody cases involving divorcing parents, custody is determined through the divorce process. If the parties agree on shared parenting, the terms of the agreement – including school placement, parenting time (schedule), child support and all other terms – are put into a Shared Parenting Plan that is signed by both parties. However, if the parties are in dispute over custody or terms of shared parental rights, the court will likely appoint a Guardian ad Litem (GAL) to investigate and represent the interests of the children. The GAL will then prepare a recommendation of either full custody or shared parenting to the court. In most cases, the court will follow the recommendation of the GAL. In custody cases involving unmarried parents, custody is determined through a juvenile custody proceeding in the juvenile court system. Until a judicial determination (or agreement submitted to the Court) is made as to custody, the mother of the child has full legal custody, and the father has no custody rights. Once a Complaint for Custody is filed, the process is similar to what happens in a divorce proceeding.  In contested cases, the Court may appoint a GAL to investigate and assist the Court in making an appropriate determination in the children’s best interests. Child support, health insurance and other issues may be dealt with in this proceeding. The lawyers at The Behal Law Group have years of experience in Central Ohio’s domestic relations and juvenile courts. We are able to assist clients in obtaining custody of their children or navigating through the process of appropriate shared parenting orders. I just want to thank John Johnson and the outstanding way that not only how he handled me during the trying time of going through a divorce, but how he handled my case. I am not sure I can properly use the correct adulations but some that come to mind are; professional, honest, “upfront,” calming and fair. Not only did I get extremely lucky in finding Mr. Johnson, who again did a phenomenal job on my case, but I truly made a friend. I want to thank the Behal Law Group and I am quite confident they know what a special talent Mr. Johnson is.